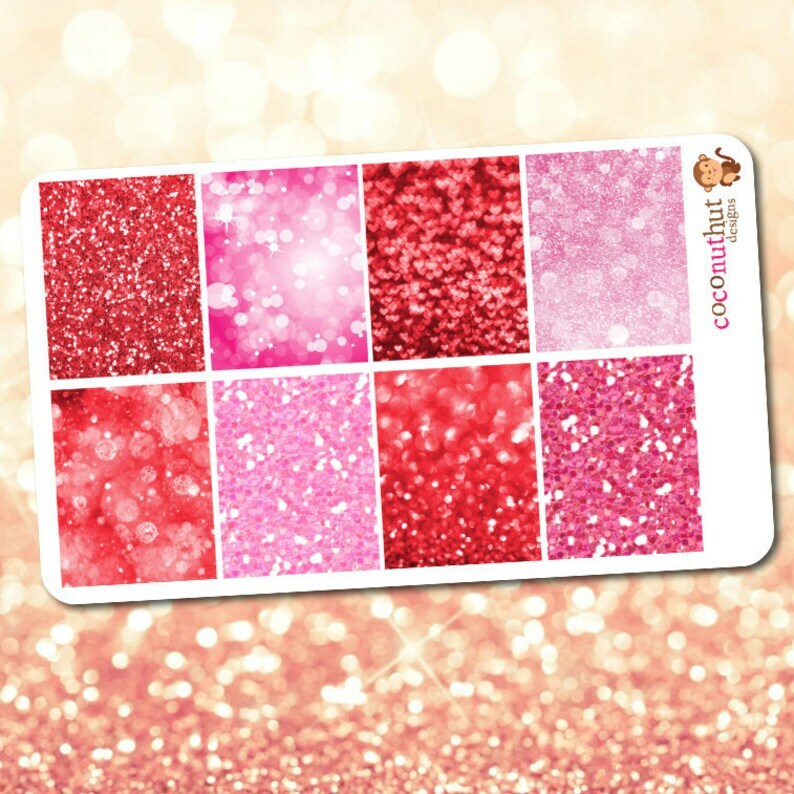 Add sparkle to your planner with these sparkly pink and red glitter and bokeh full box stickers. Perfect for your February and Valentine's layouts! These stickers match the February 2017 monthly colors in the vertical Erin Condren Life Planner. They will fit in most other planners as well, and you can also use them in your scrapbooks, journals, calendars and creative projects. Excellent quality and fast shipping! Thank you!